Must-have framework for your next XAF application. Read more about Xafari Console in the documentation. For more information refer to the Extension Framework documentation. 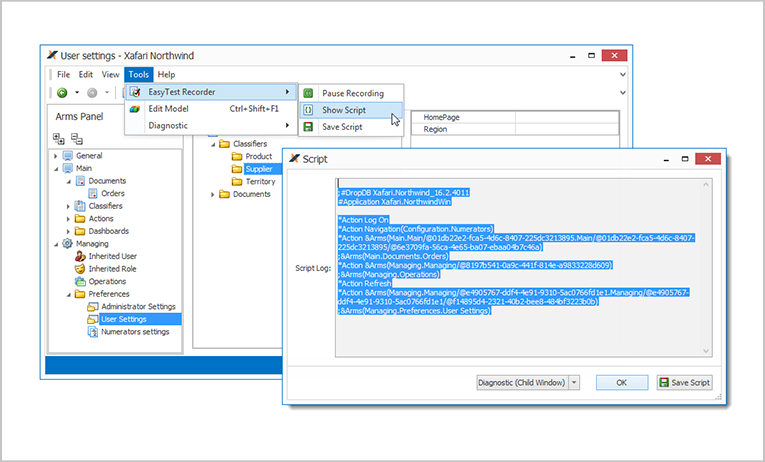 Xafari.EasyTest.WinAdapter allows testing Xafari Win components using Easy Test, and Xafari.ScriptRecorder и Xafari.ScriptRecorder record user action in the script. All three components are based on the corresponding Devexpress XAF components, but expand their functionality on Xafari components. Read more about new Xafari ERP Concept in the documentation. 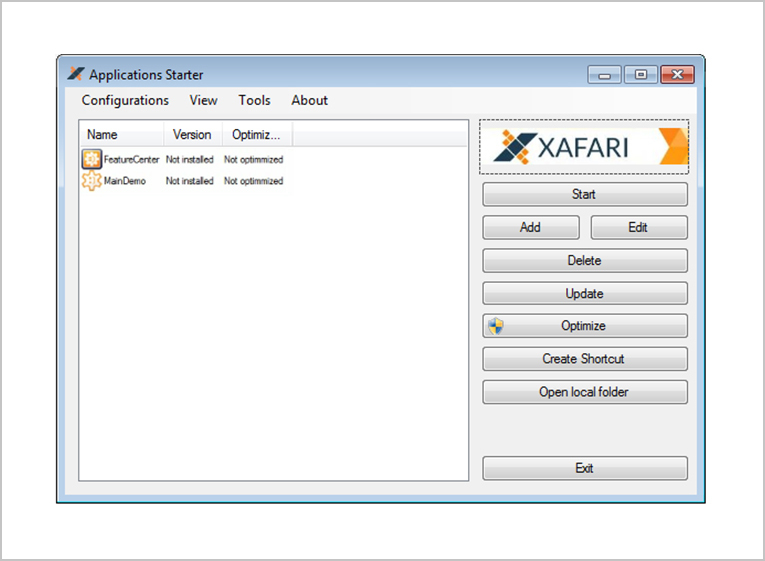 Application Context defines the list of platform-specific modules of a Xafari application. 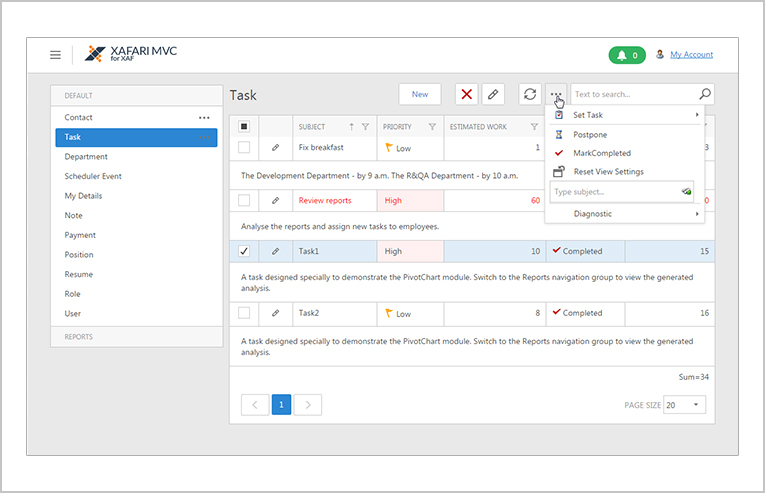 ApplicationHost adds all required platform-specific modules using Application Context upon application initialization. Xafari x011 introduces Xafari template gallery that allows to create Xafari components faster. 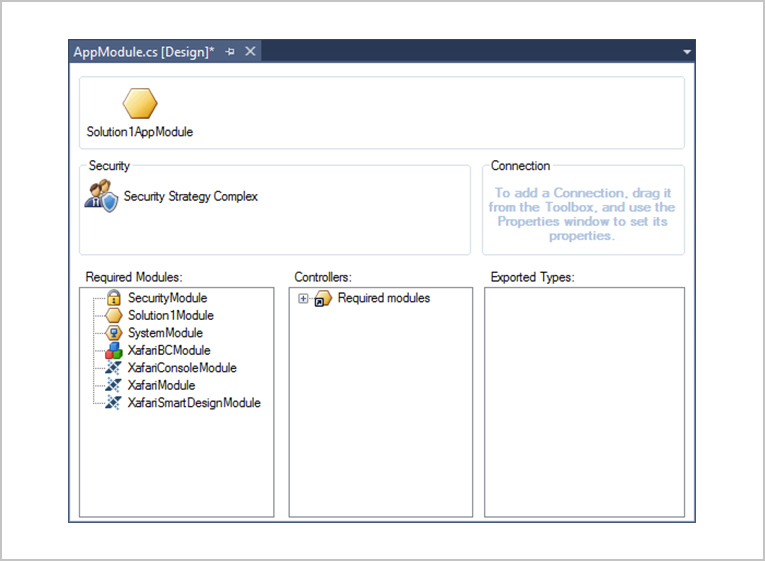 Starting from Xafari x011, the mechanism of dynamic properties works via a special manager that creates and works with a separate application model. It launches the model asynchronously and does not affect the start time of the application. Xafari.MVC in x011 uses a new mechanism when working with modal windows, which reduces response time for their opening and helps to minimize memory leaks in the client application. See a more detailed list of improvements in Xafari Framework in the documentation.